Spring was an interesting time this year in Augusta, Georgia. We were able to enjoy an entire month of nice, cool and pleasant weather during April which is highly unusual. Normally, the heat of summer tends to show up right on the heels of The Master’s golf tournament, but we were blessed enough to receive a full month and a half, almost of springtime. That time is coming to a close as June is here now. This is the mower that your dad probably made you cut his lawn with on the weekends when you wanted to go hang out with friends. The Push Mower is very self-explanatory in that its power source comes from an individual pushing it. Models have varying types of engines and some allow you to bag clippings while others use side-discharge to expel grass clippings, but they all need someone to push them to be of any use. If you like a good workout, or have a small yard that is easy to mow in a few minutes, then a push mower would be ideal for you. This mower is the bread and butter of most Americans living in the Suburbs. Self-Propelled mowers operate much in the same way as a push mower. Their cutting decks are raised and lowered in the same way, and they also come in bagging and side-discharge varieties, but the main difference is that their engines are built to both power the blades as well as move the mower. Most have throttles that need to be engaged and most all have pull cords. ​Self-Propelled mowers take a lot of physical exertion out of mowing the lawn but most are a bit heavier, not too much mind you, than the traditional Push Mower. This is because usually the engines are bigger in order to accommodate powering both the blades and propelling the mower. When it comes to a Self-Propelled mower, you also need to consider its power source. Are you going to be using a gas powered engine? This is the most common type of engine and it requires regular maintenance just like a gas engine would on a car. There are also battery powered models that might require you to buy the battery as well and will require you to charge them before use. 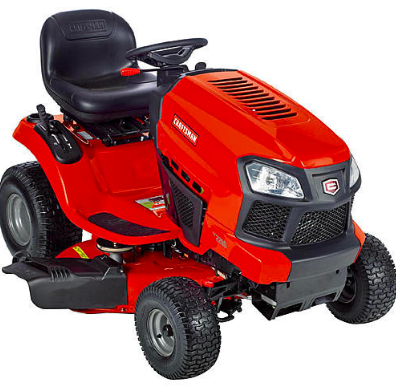 Most battery powered mowers will last for an hour or two, depending on the model, but as the battery loses power you also may run the risk of reduced performance. You can also buy Self-Propelled mowers that are electric and can be plugged into an outlet. This is all a personal preference on my part, but the last thing I want to deal with when mowing the lawn is a cord, however if you have a small yard, anywhere between 1000-2000 square feet, then this might work for you. Especially if managing a gas powered mower is difficult. There are hundreds of models under many different name brands so be sure to do some research before you buy. There are a number of reputable brands out there and some that will just break your heart, and your wallet. ​This is the granddaddy of the modern mower. The Reel Mower is like the Push Mower in that you have to push the mower around but they don’t require any kind of gas or electric power to function. If you’re of the environmentally conscious mind then this would be a perfect mower for you. You might not want to use a Reel Mower, also known as a Cylinder Mower, for a yard that is any bigger than 6000 Square feet, and honestly that’s a pretty big size for a Reel Mower, but at least most Reel Mowers aren’t as heavy and awkward to maneuver. The most important thing about a Reel Mower to make sure that the blades are sharp. These mowers operate by opposite pairs of blades slicing through the grass blades, much like a pair of scissors. If the blades aren’t sharp you run the risk of either shredding the grass blades, which will cause stress to the plant and increase the likely hood of disease, or you will be pulling the grass out of the ground and making a slightly physical task even more strenuous. This is the lawn mower of choice for both personal and professional use for any yard that’s bigger than about 5000-6000 square feet, depending on preference. These mowers making cutting large yards more manageable and a lawn maintenance company will most like have one or two of these. There are two main types of Riding Mowers: standard and zero-turn. Standard Riding Mowers have actual steering wheels and usually have either a gas pedal or manual clutch that propels the mower. A zero-turn riding mower will usually have joy sticks or bars that are used to move the vehicle forward and backward by allowing the tires to either turn in opposite directions (to turn the mower one way or the other) or to turn together (to move the mower forward or backward). 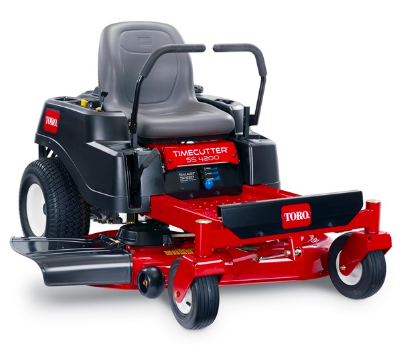 A zero-turn mower is great if you’re mowing a lawn that isn’t just a flat square of a yard. It allows you to maneuver around trees, and other obstacles with ease and without having to back up and turn again. While a zero-turn mower is a great tool to have for any yard size, they do come at a cost. They are far more expensive than a standard mower and usually require a little more specialized maintenance from time to time. They also require a little more finesse as you can tear up grass in your yard if you’re turning too quickly. Both the standard and zero-turn mowers are great buys and anyone thinking of mowing their lawn should consider if they want to invest in one or the other. It really does boil down to the yard(s) you’ll be mowing, how much time you have, and personal preference. If you’re working with a small yard then you may want to get a Push Mower. If you have a lot of acreage in the Harlem or Appling area, then a riding mower is probably going to work best. The mowers we’ve looked at so far at the typical kinds of mowers you will be looking for but I thought I’d mention a few more, because to be honest they just seem cool. ​This is a very interesting mower in that it does just what it says: it hovers over the ground while you cut the grass. It functions just like the large hovercrafts that carry people and equipment. They have a small bag of air that fills up in order to life the mower just above the surface. These mowers are used for specific purposes like cutting the grass near a water trap on a golf course. While not everyone has the money, or the need, for one of these, I’m hopeful they’ll one day create a version that will replace the traditional riding lawn mower! So this is something I haven’t had experience with, but it sounds a little too good to be true. This type of mower is essentially an automatic mower, about the size of a small suit case, that is programmed and then will cut your lawn on its own, much like a carpet-cleaning robot. Based on what I’ve read from reviews, they are quite tricky to program and often aren’t able to do what the manufacturers claim, but if you’ve got the time, patience, money, and a smaller yard, give it a try and let us know how it works out! -Make sure that tires are properly filled to prevent the blades from cutting lower than intended. If you have any questions about which mower might work best for you, give Augusta Lawn Care and Maintenance a call and we’d be happy to help. After we talk, you might even decide to retire your mower and hire us!